Harp Harmonic Arpeggios That Sound So Magical On Your Guitar, You’ll Think You’ve Got A Wand In Your Hand! In this video lesson I want to show you a very cool extended harp harmonic arpeggio pattern for your guitar playing, that will give you instant access to a large range on your instrument without even having to move your fretting hand. This is an extension, pun intended, to a previous video that introduced the amazing sound of the harp harmonic technique. If you have not seen this video and you are new to harp harmonics, then start here as you will need to do so to comprehend and understand what I will be covering today. For a quick recap, here is the harp arpeggio pattern that was covered in the first video applied to an Am7 chord. We are now going to add both a lower and an upper extension to this arpeggio to create a greater range with which to work. 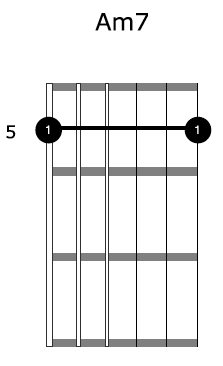 As you can see we are adding the lower 3 strings of our chord for the lower extension, with our i (index), m (middle), and a (ring) fingers, before connecting to the harp arpeggio pattern from the previous video. To see this demonstrated and explained in detail, be sure to watch the video. This will increase the upper range of our harp harmonic arpeggio. Again watch the video to see this clearly explained and demonstrated. 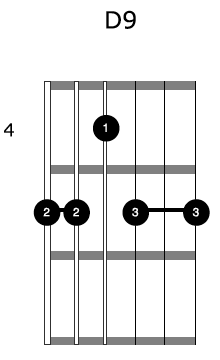 Notice the massive range you get without even moving your fretting hand thanks to the harmonics. In the video I will show you that trying to emulate this arpeggio with fretted notes will not only be very awkward to do, but impossible to get the fluency and speed that is easily achievable with the harp harmonic version. We can take this extended harp harmonic pattern and apply it to other chords. We certainly aren’t limited to the Am7 shape. 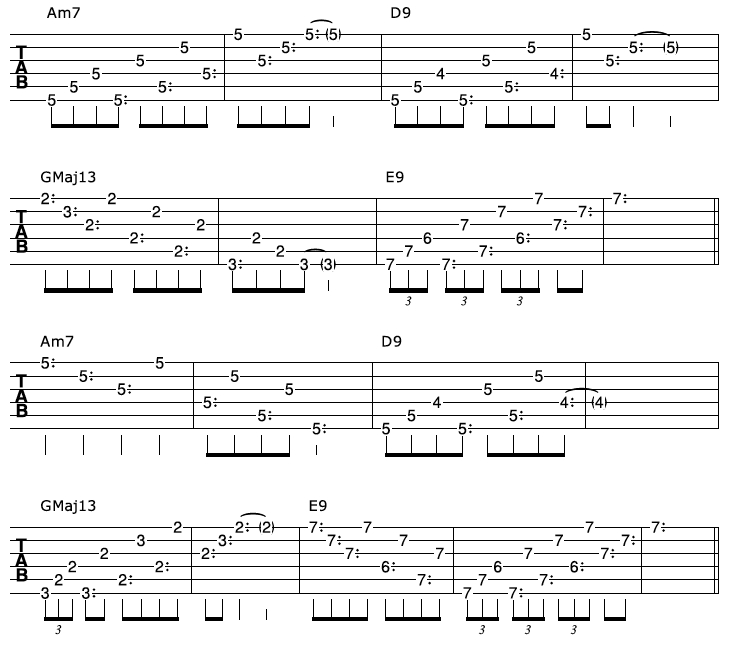 The next natural step to take is to apply this extended arpeggio pattern to a progression of some sort. As you will see me demonstrate in the video, you aren’t expected to, or will want to try and cover the full range of the harp arpeggio every time you use it. 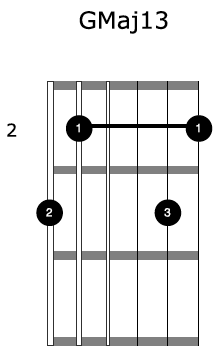 The idea is to use parts of it depending on personal taste, as well as time you have on each chord.